As a part-time professor and part-time PhD student I was wondering about the role played by universities when providing students with some guidance towards free software development, methodologies, and community organization. As the usual and already provided experiences (internships, research projects scholarships, and full-time job directions) I think all of us agree on technical, cultural, and social benefits of joining a free software community and it would be good if computer science undergraduate courses could somehow promote and support such activities. I’m organizing things to have an optional course about free software development offered as part of computer science curriculum at Federal University of Bahia, Brazil. It’ll be a 51h course when students will choose a project to contribute and experience 100% hands-on time bonding to the community, boosting their development skills, and learning why and how do free software development work. 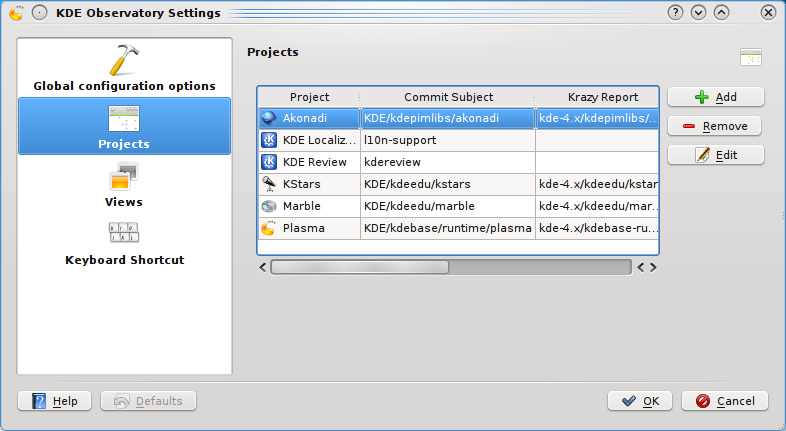 And, unless there is student already bonded to other communities, KDE projects are our main target :). I’ve been heard about similar experiences occuring in France and other countries. I’ll be grateful for hear you back about the results, impediments, and conclusions on such effort. 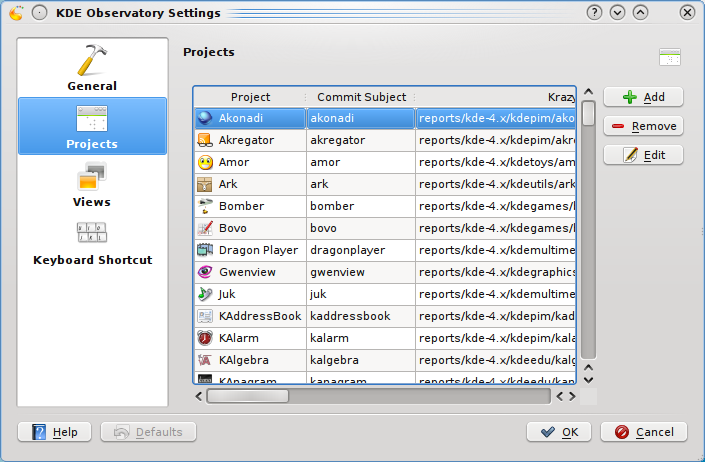 Now KDE Observatory cames with presets for virtually all KDE projects. 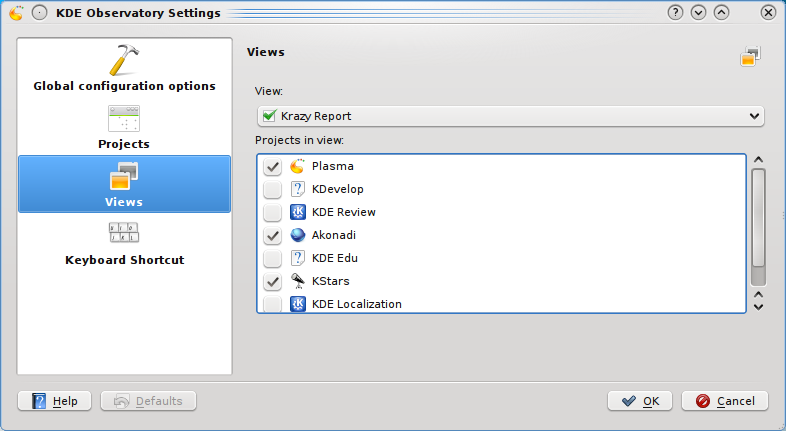 Plasma, KDE Libs, and KDE PIM Libs are included by default in all views. 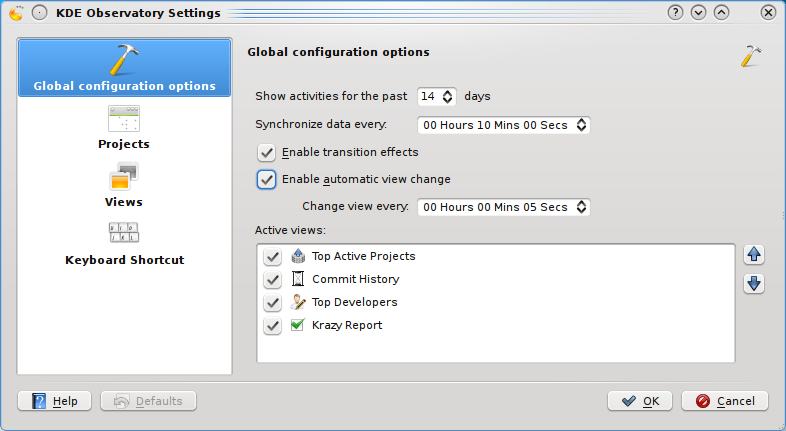 Presets can be added for participation in “Top Active Projects”, “Top Developers”, “Commit History”, and “Krazy Report” views, and new user-provided projects can also be included. If you want to include your own project just add a new entry in Projects configuration page. 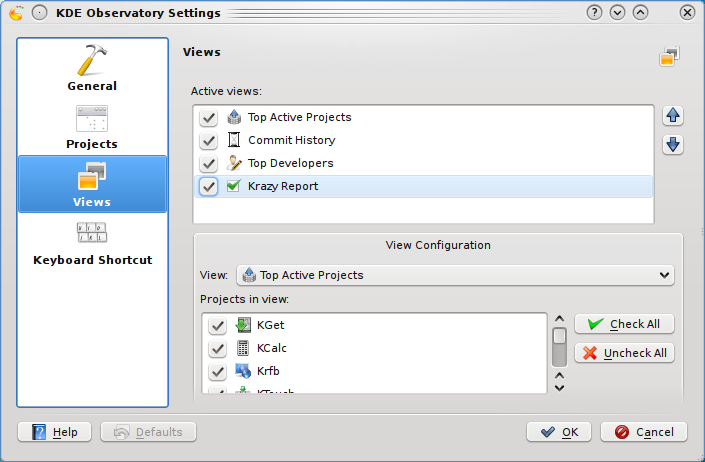 By default all new created projects are automatically added in the provided views (currently: top active projects, top developers, commit history, and krazy report). 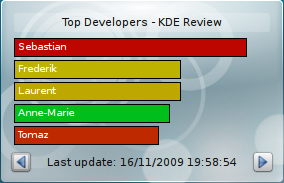 If you are a maintainer of an official KDE project and would like to have it included as a preset in KDE Observatory please first check if it’s already included here. If your project doesn’t appear in that file please contact me. I’ll be glad to make this for you. 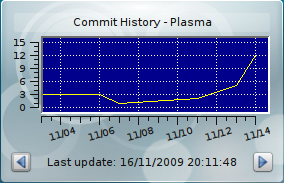 If you wanna try this stuff, please head to trunk/KDE/kdeplasma-addons/applets/kdeobservatory. So, I’m also very very glad to become an official-certified-real-proven-* 🙂 Nokia Certified Qt Developer. 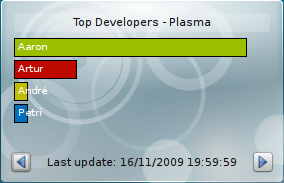 For sure a great boost in our effort and motivation to make Qt and KDE even better and better here in Brazil. Congratulations to Albert, Sebastian, Leinir, Ahiemstra, and the other guys. We have 2 congress in the same week , same day. the second Festival de Software Livre de Belo Horizonte will happen in UNATEC, the Una Institute of Tecnology that helps opensource and will begin at 8a.m, 11/28. In the event there will be talks, workshops and activities to beginners and advanced users. The Reason to be of the event is gather each time more professionals and entusiasts from all groups of tecnology, and spreading the word and filosofy of Free Software. 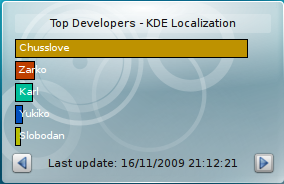 This one is being organized by the KDE-MG Group, and annma is already in love with them, so you should be in love with them too. The other congress is SoliSC, The Catarninense Congress of Free Software, and it will present to the society from Santa Catarina the concepts that are behind FSF, showing that open solutions are not just an alternative but a reality in busness in information tecnology and information areas. days 26 and 27, current month. I will be giving a talk on this one, so stay tooned. “O 2º Festival de Software Livre de Belo Horizonte acontecerá na UNATEC – Instituto UNA de Tecnologia que apoia o Software Livre e terá início das atividades às 8:00hs de 28/11. No evento, serão realizadas palestras, oficinas e install fests tanto para iniciantes quanto para usuários avançados. O intuito do evento é agrupar cada vez mais os profissionais e entusiastas das diversas áreas da tecnologia, divulgando e ampliando o alcance da filosofia do Software Livre. O Congresso Catarinense de Software Livre (SoLiSC) apresentará para a sociedade catarinense os conceitos que estão por trás do Software Livre, demonstrando que soluções abertas e livres deixaram de ser uma alternativa para ser uma realidade de negócio na área de tecnologia da informação e comunicação. Keeping track of statistics and metrics in software development projects is not rarely a requisite activity for early evaluation of risks, quality management, and successful delivery of functionalities. 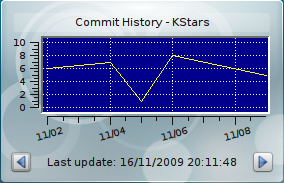 KDE community provides amazing tools for such activities: commits bots, Krazy analysis, bug tracking, review board, mailing lists, etc. Why not bring these resources together in an integrated tool ? 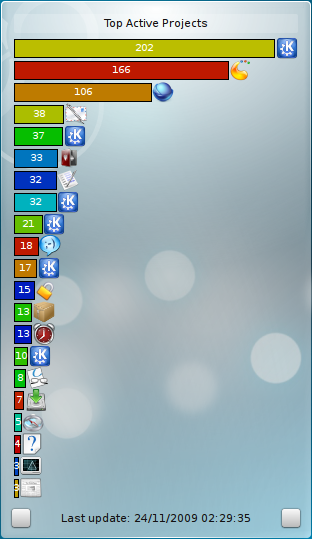 Even better, why not all those information right on your desktop ? 🙂 That’s the KDE Observatory. 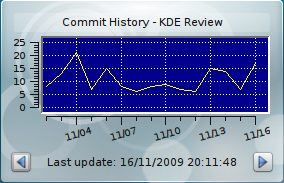 The great (and sadly – and understandably – inactive) work done by Danny in KDE Commit Digest boosted me to begin that implementation two weeks ago. And, last but not least, my preferred one: Krazy Report. 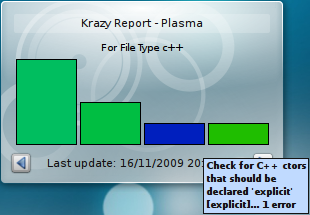 If you are all like me you hate that annoying compilation warnings and Krazy complains that say: “It’s ok, but you can do better !” 🙂 So, now there is no need for a Krazy check at http://www.englishbreakfastnetwork.org, all information can be found in KDE Observatory. Yes, you’ll have an annoying notification in your panel soon :). 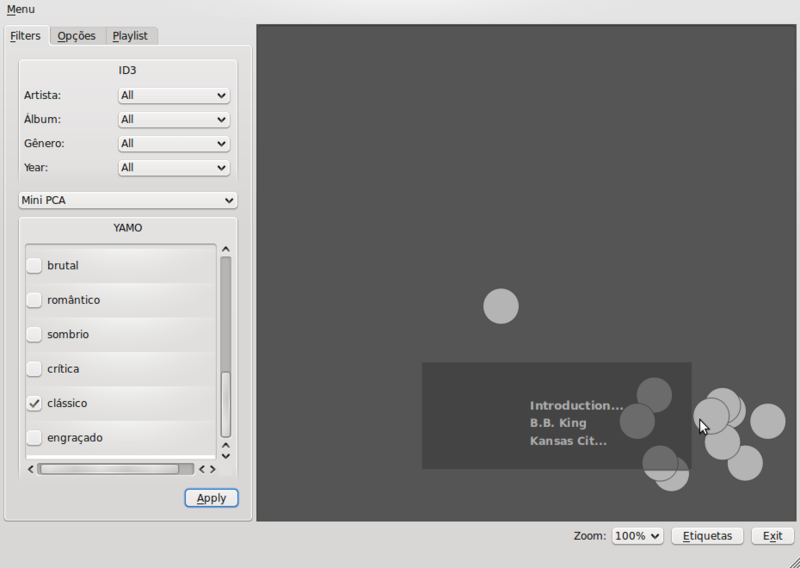 Development was architected to seamless support future views, such as bugs visualization. 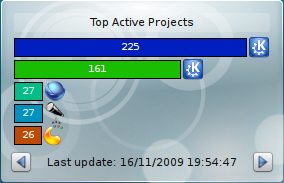 I’m currently providing some presets for most popular KDE projects, but you are free to insert your project here and begin tracking. 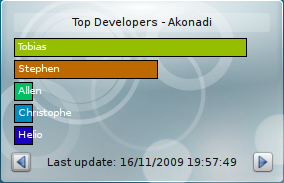 Top Developers in each considered project. So, that’s all, suggestions are welcome as usual. Feel free to give it a try. the path to become a Jedi. 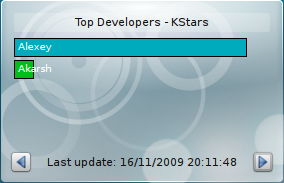 C++ Qt and KDE, a deep look, young padawan, you must have. Given the increasing ease of obtaining all kinds of music via the Internet, the personal musical libraries are increasing more and more, so it is important to organize this collection in order to facilitate navigation and search for music throughout the music library. 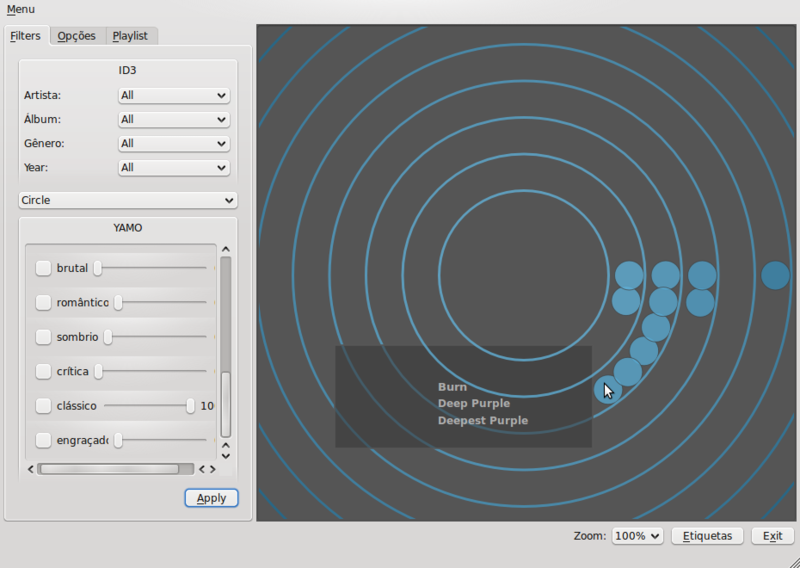 We propose a system for displaying music libraries in a more intuitive way for the music player Amarok, through a 2D representation (two dimensions), in order to organize the songs by the similarity between them. This representation is via contextual information allocated on special tags created by the user and associated to the musics, for example: happy, instrumental, carnival, agitated etc. or by information such as artist, album, genre, year etc. 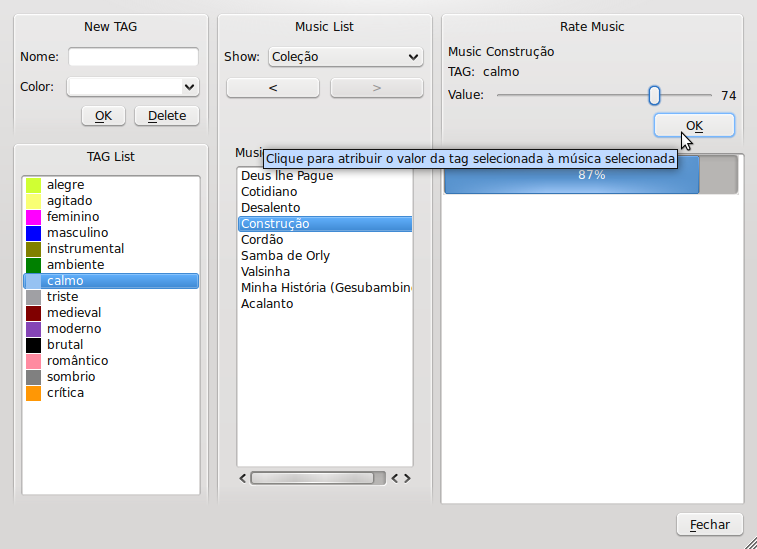 already present in the music allocated on ID3 tag. 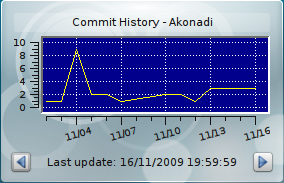 Rocs, KDevelop, Plasma by the INdT guys, Kopete by Lamarque, and now, Amarok, by André Simpatia & colleages. Today was the second day of it in extragear kdereview, and I tougth I should write what it is again, to remind people to test, try it, aprove it, disaprove it and use it as a toothbrush if in lack for a better tool for it. So, a lot of people asks me “what is rocs”, and, simply it is an easy to use IDE for Graph Theory. 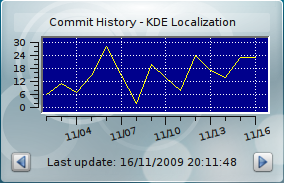 What it does, and why an IDE for it? Is there any algorithm already implemented? Nope. the idea is not to have the homework for the students, but to provide a simple graph API and a visualization area for them to implement it. While I was doing graph theory in college, I found out that there isn’t any tool to visualize the graphs and apply algorithms to it. searching by “Graph Algorithm Tools” over the web, the only one that I found that’s similar to mine is GDR, Graph Drawing Tool , but it’s from 1998, and sigthly outdated. Over the emails someone said (sorry, donesn’t have an mail client here and gmail is blocked, so say your name in the comments and I will update this ) “While we have good graph drawing programs, it’s actually cool that someone took the time to create one simple just to experiment with scripting and algorithms, this can help college students and professors alike”. Well, that’s not exactly what he said, but the idea remains the same. So, peace, and try out. Cheers.